MILWAUKEE, WI — Milwaukee Ballet is a company that whole-heartedly embraces the story ballet genre. Its latest narrative creation, Beauty and the Beast, will premiere tonight at the Marcus Center and run through April 15. Like many previous productions, the ballet unites the work of Artistic Director Michael Pink and British composer Philip Feeney, who have collaborated together for over 30 years. 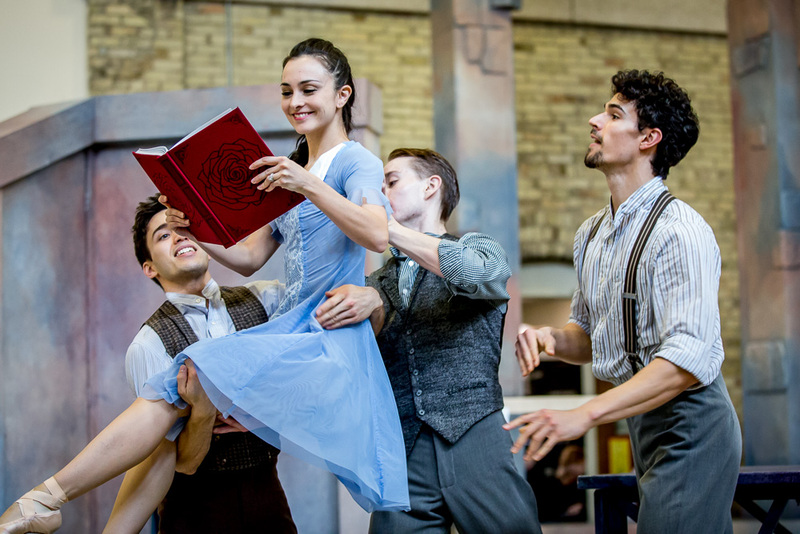 Audiences can also expect the addition of classic fairy tale characters to the ballet, such as the Three Little Pigs, Little Red Riding Hood, Rapunzel, Pinocchio, and the Pied Piper. “I kept the idea of Belle as a bookworm at the center of my interpretation. She yearns for an adventure outside of her small town, and she escapes into her stories for that excitement,” he explains. Feeney originally considered using Belle’s opening theme to tie up the conclusion of the ballet, but opted for a different approach. Feeney’s score for Beauty and the Beast will be performed live by Milwaukee Ballet Orchestra. Beauty and the Beast runs April 12-15 at the Marcus Center for the Performing Arts, 929 N. Water St., Milwaukee. Tickets start at $40 and are available online at milwaukeeballet.org, or by phone at 414-902-2103. *Disclosure: Rachel Hellwig has been contracted in the past as a freelancer to create web content for Milwaukee Ballet. Rachel Hellwig is a dance writer, editor, and blogger based in Birmingham, AL. She is an assistant editor at 4dancers.org, a freelancer for various publications, and created the ballet blog Clara’s Coffee Break.